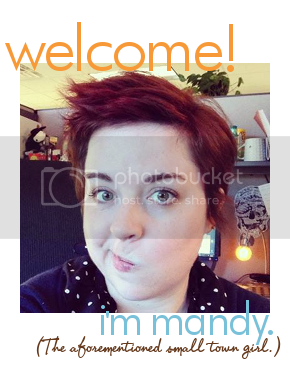 I'm a big fan of fun swaps; I'd much rather receive "happy mail" than bills and junk. 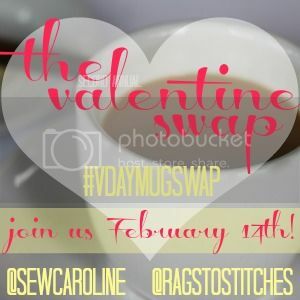 This swap—The Valentine Swap hosted by Alissa of Rags to Stitches and Caroline of Sew Caroline—is the cutest I've seen in a while. The gist of the swap is this: After signing up, you'll be matched with another swap participant. Once you receive their info, you buy them a cute mug, fill it with goodies (up to $15) and then send it to your swap partner by Feb. 1. Visit Sew Caroline for more info on the swap, and to sign up.